As soon as we discovered my pregnancy, I’ve been dying to get a start on the baby nursery. It was definitely the most exciting project while getting ready to meet our sweet bundle! The layout of our home is just excellent for our growing family with the nursery directly at our bedroom! It is big enough with awesome morning light coming in – my favorite room ever! 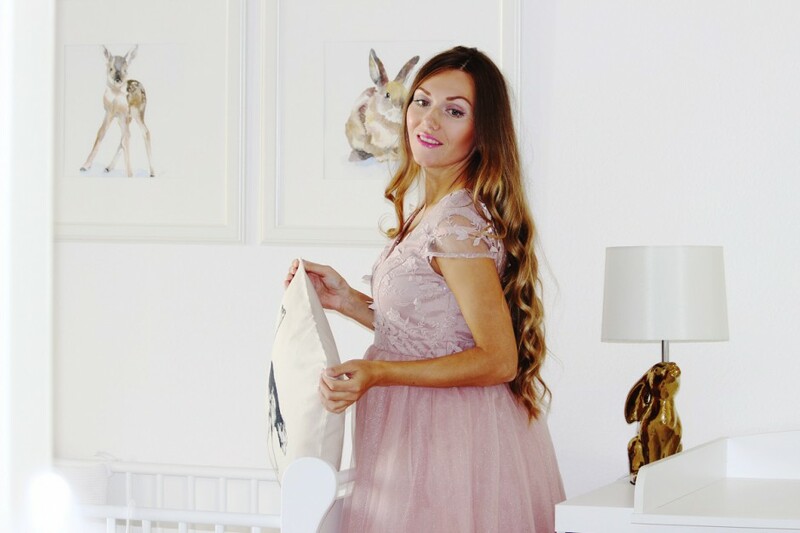 Now when the nursery is ready and is used by my little Chloé I just could not be happier and excited to give everyone an insight of baby’s little sanctuary also on Skinnycature. On this shots I was still expecting (I am nine months pregnant on the pictures) and the only thing that was missing to complete it all was my baby. 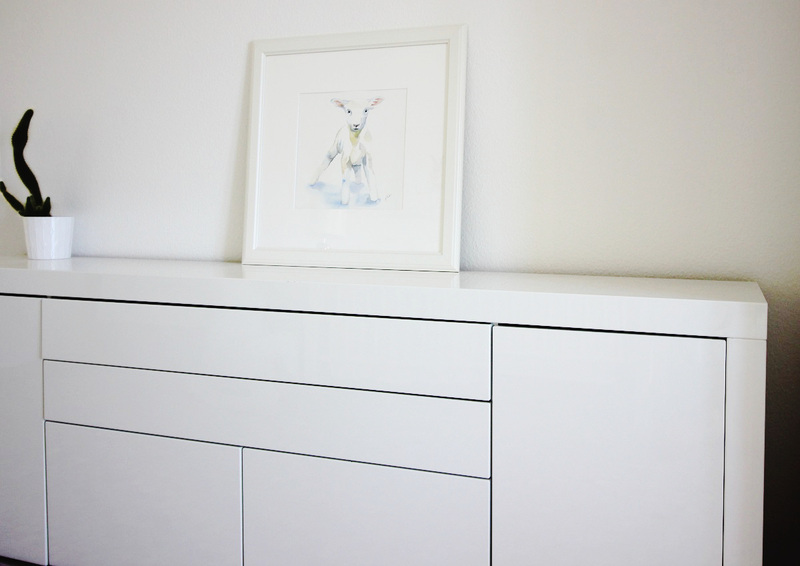 As we discussed this special project with Wayfair I was super thrilled! I knew it would be a perfect match. And if you follow me along for some time on my blogging journey you might have seen how Wayfair supported me with designing my dream working space while moving into new office. It has been so much fun to be able to work with them again and come up with my dream nursery for my little sunshine. Picking up the basics for this nursery I decided for the classic style and neutral palette. I just wanted to keep colors minimal and the overall feel of the nursery to be soft and sophisticated. 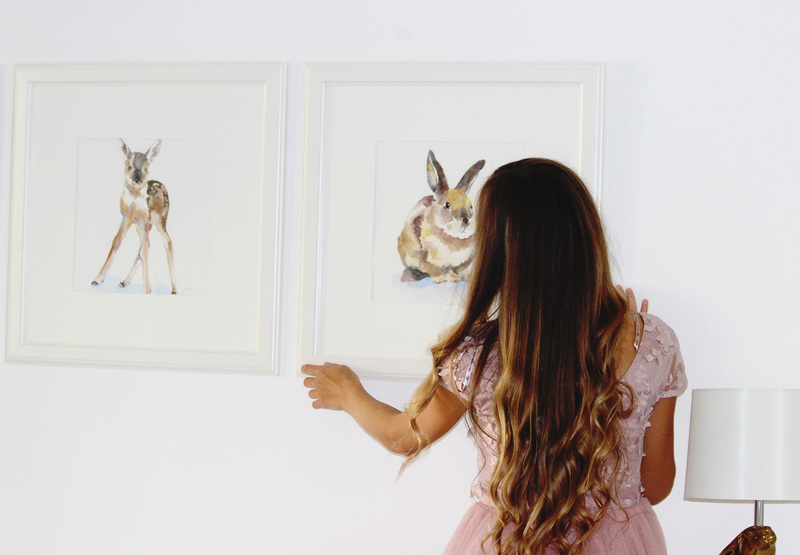 I wanted this room be a kind of reflection of my personal style, aesthetic and match with our home interior design. I also wanted to keep it pretty gender neutral with just a super slight hint of baby-girl stuff. We made sure to cover all the details with the central piece of each nursery – the crib. I selected it from the Wayfair newest Baby Furniture Collection, this model is Felice and it is a convertible crib. This is also super practical once your baby becomes a toddler. I really love its sophisticated design and solid wood quality. My vision of the nursery was a pure place incorporating light wall and furniture colors, soft watercolor-paintings and warm materials to keep it cozy and want a parent whisper once walked into it. The monochrome chandelier adds a certain mood of cool edge as well. 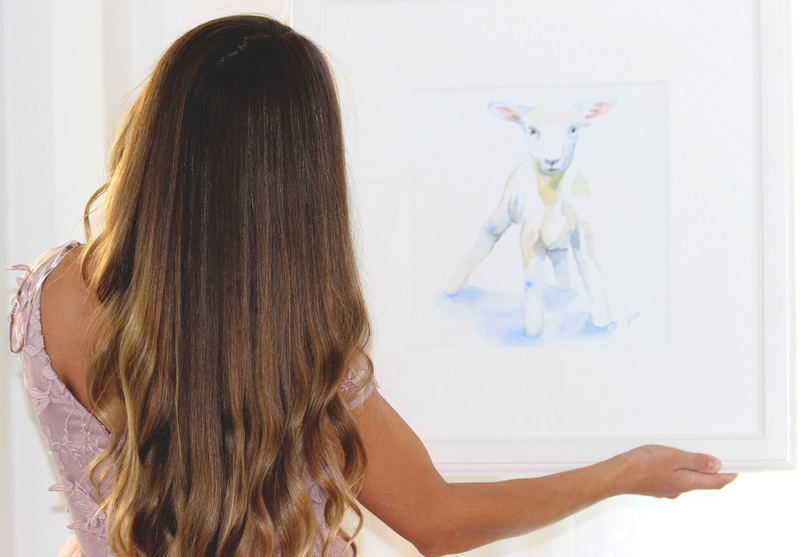 Talking about paintings – you could be sure to find animals in my nursery interior! I just love animals myself and think they are essential for babies to discover more about the nature in their early years. 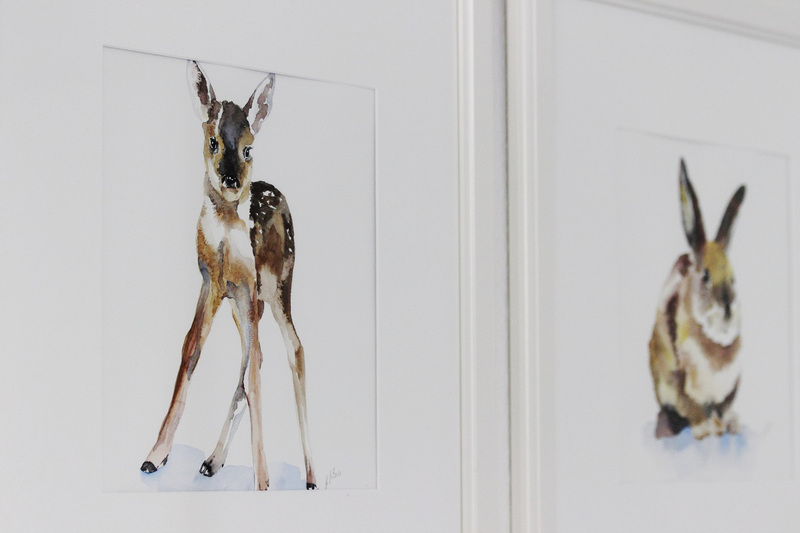 The hardest part was only to decide on which animal paintings would be perfect for the nursery. They are all hand-painted by my favorite illustrator currently located in Istanbul. Hope you guys enjoy my room tour on the pictures below. For more outstanding nursery solutions please visit my Pinterest.